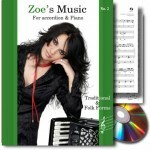 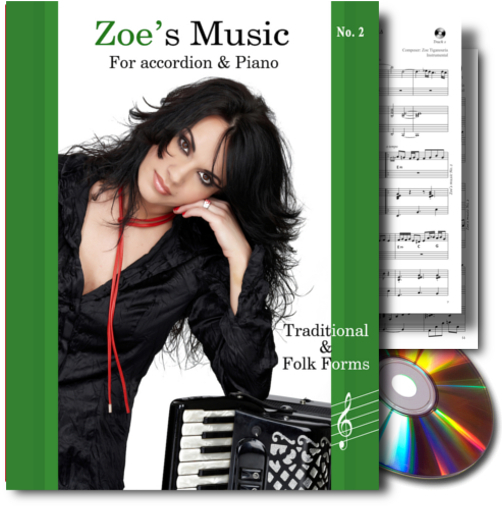 The Book/CD entitled “Zoe’s Music No.2 – Traditional and Folk forms”, published by Cambia Editions, includes music scores for accordion and piano of Zoe Tiganouria’s compositions, selected from her personal discography. 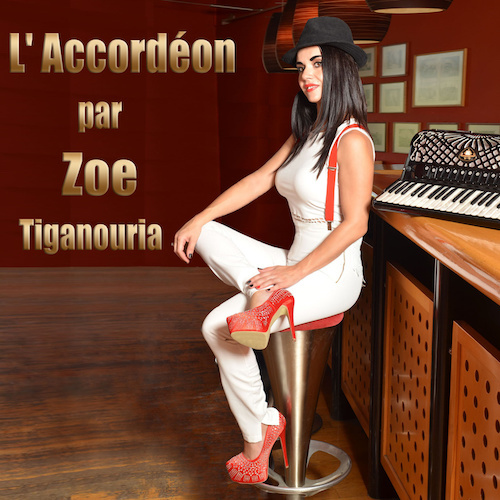 In these recordings, the pianists alongside with Zoe are Elias Argyropoulos and Asterios Papastamatakis. 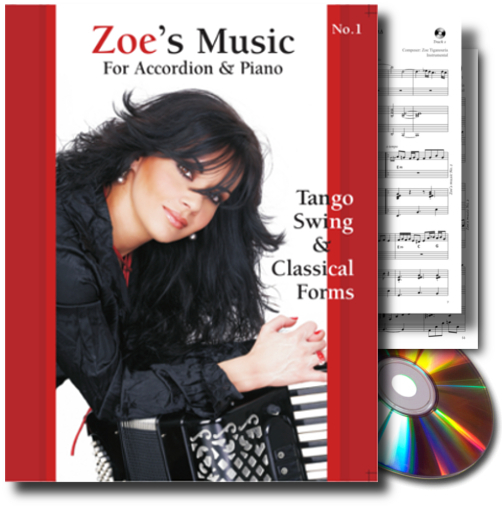 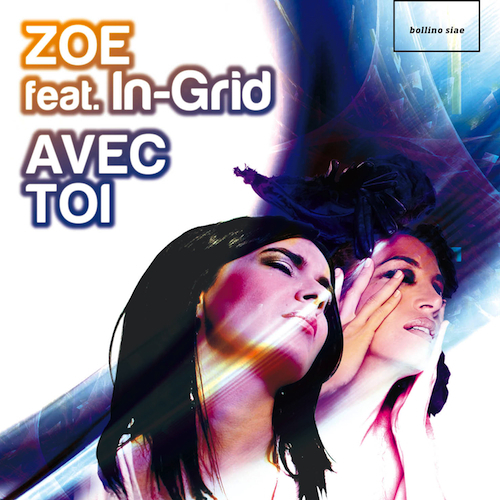 With educational approach for the musicians and artistic sensitivity for the listeners, the Book/CD “Zoe’s Music No.2 – Traditional & Folk forms”, is the sequel of the first Book/CD (released in 2012) entitled “Zoe’s Music No.1 – Tango, Swing & Classical forms”.